Generally we use one database for application but some times we need to use multiple database. Codeigniter give the option to connect multiple database in application. 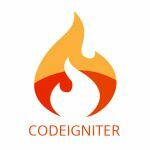 This tutorial gives idea about how you can connect and use multiple databases in CodeIgniter Application.